In every event, food is always a priority. After the lively entertainment and exciting activities, the guests will surely want to re-energize and taste sumptuous food on the table. The food can make or break an event. With that, it’s important that the food is delicious and appetizing. 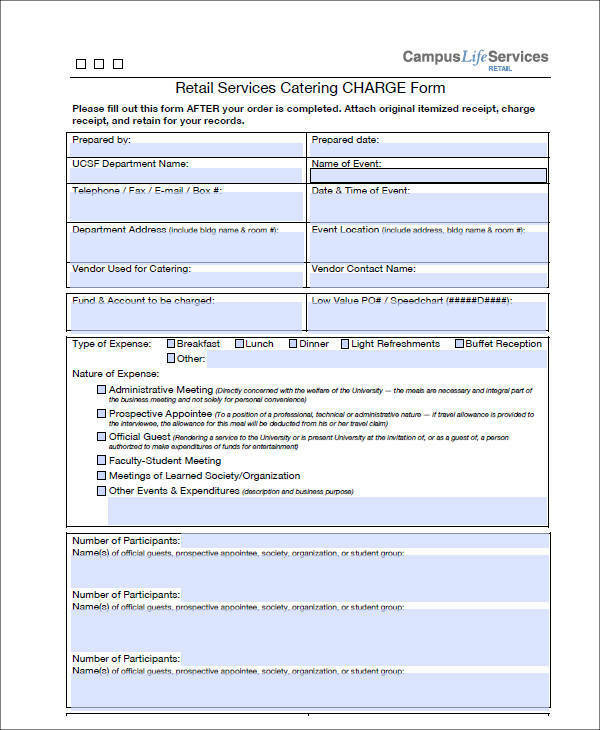 If you have the talent for cooking and wish to help customers through a catering service, Receipt Format is helpful in your business to inform the customers of the amount they paid. 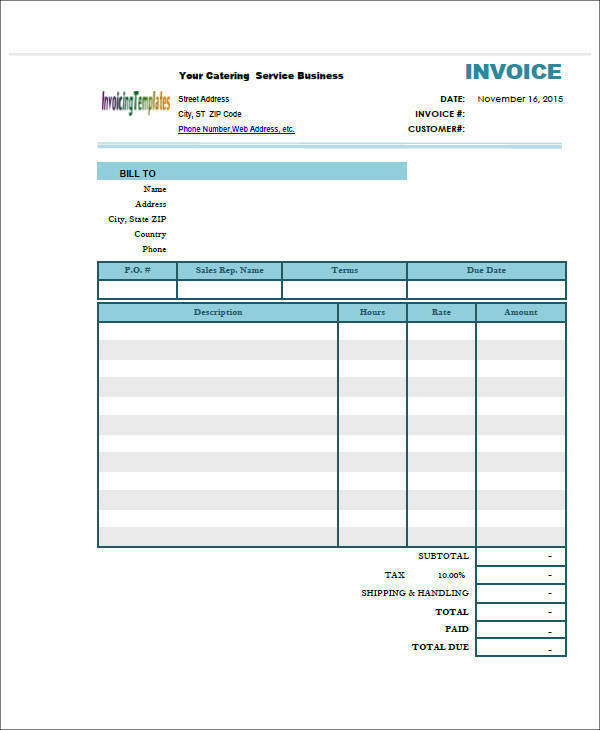 You may also check PDF Receipt Template for other designs of catering receipt templates. You can visit our website for more templates. Catering is a business activity that provides food and drinks service to special events and occasions. This service is frequently seen on birthdays, weddings, and private parties. 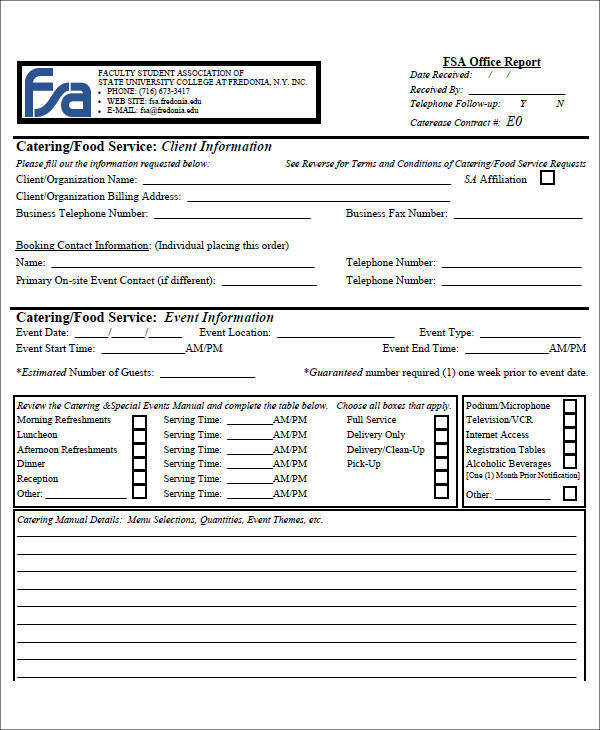 A catering service needs important forms such as Payment Receipts and Catering Invoice in order to have an organized and recorded finances of the business transactions. 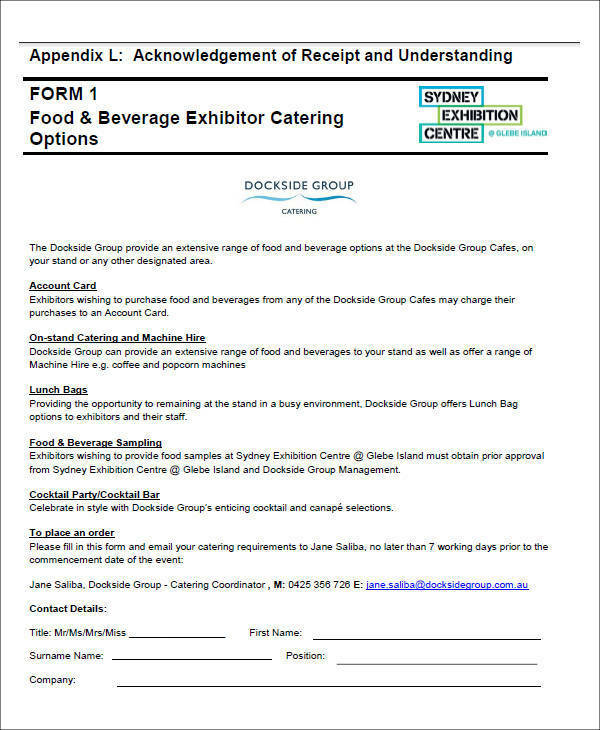 What Are the Caterers’ Responsibilities? Caterers are the one to plan, prepare, cook, and serve food and drinks to the guests. Though caterers are responsible for food and drinks, the customers also have the freedom in the menu. The customers can either leave all arrangements and menus to the caterers, or they can choose the food for the menu. Caterers make sure that the food is not only delicious but also aesthetically presentable. They also look at the decorations and lighting of the tables to match with the presentation of the food. Wedding Catering: This catering is suitable for wedding ceremonies. Wedding catering is usually done after the formal wedding ceremony particularly in the reception area, where guests are entertained with bands and games. This is also the time where guests are already allowed to eat and drink. Mobile Catering: This catering prepares and serves food in a mobile van. Mobile catering is common in festivals, outdoor concerts and events, and food fairs. 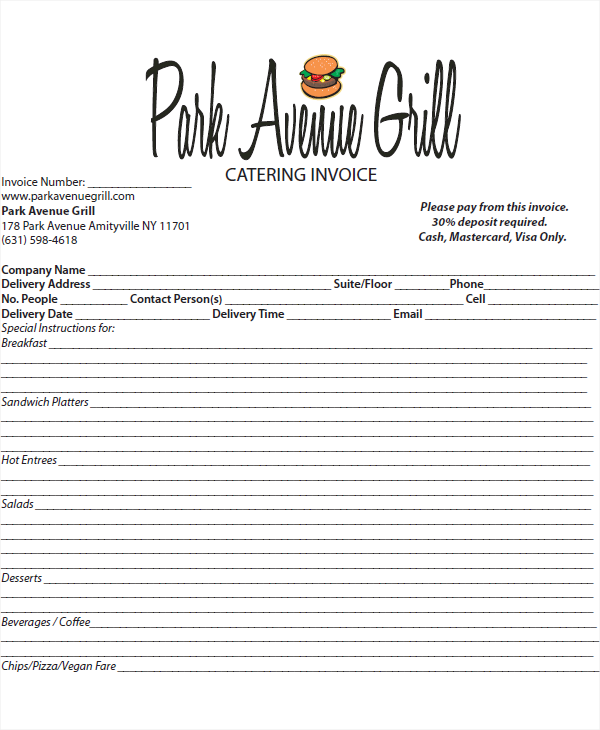 The catering can visit different locations but specifically seen on outdoor events. Business Catering: This catering is popular in business meetings, seminars, conferences, and other business-related events. The catering is formal and professional-looking. The food being served is not the greasy and hard-to-eat kind. Caterers only served food that is easy to consume and still delicious and healthy. Special Events Catering: This catering is suitable for private events such as birthdays, reunions, and parties. Caterers are responsible not only for the food and drinks but also the setup of the food table and decorations. They see to it that the presentation of the food matches the decoration and overall theme of the event. Door-to-Door Catering: This catering provides food service through delivering the food at any given time and place. Caterers only need to prepare and deliver the food, since customers will be the one to serve the food to the guests. This catering is frequent in overnights and house parties. 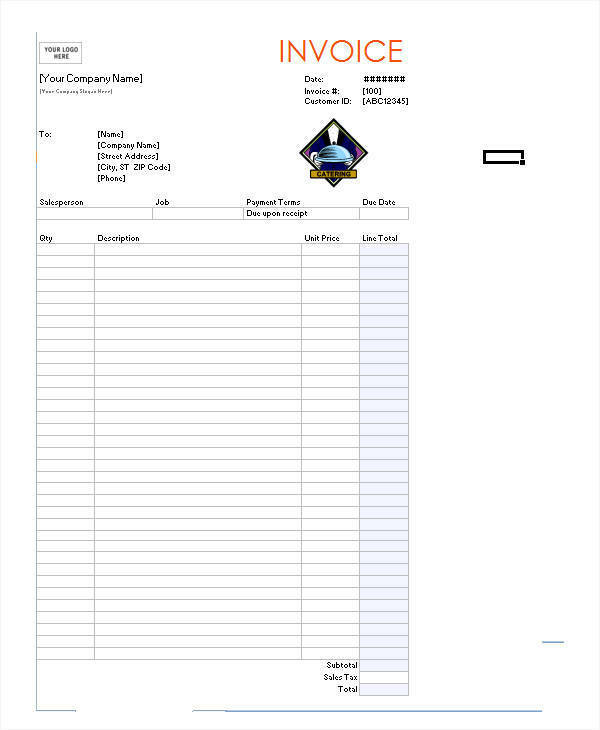 More forms such as Receipts Form and Money Order Forms are posted on our website. Should you want to have your own copy of our forms, you may directly download them on our website.